To view details of a customer and their past orders, click on Action button against a customer record and select View. You will be taken to View Customer Details page for that particular customer. 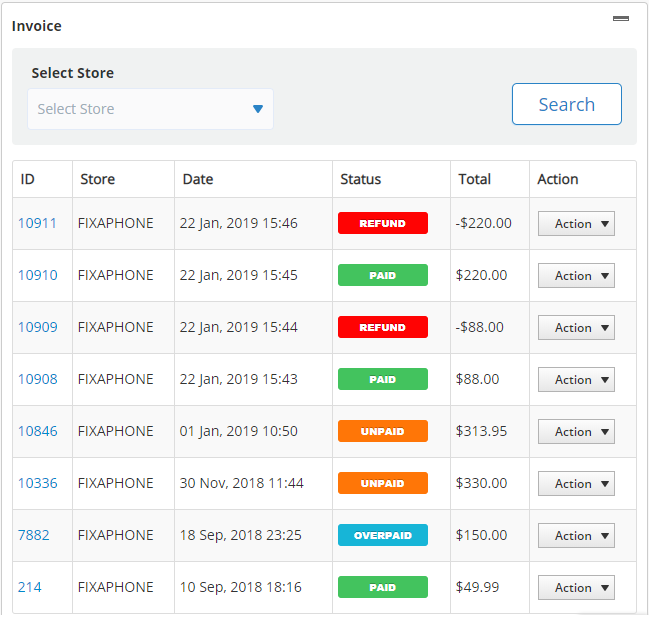 In this section you can view what kind of services customer availed from you and in return how much revenue was received or is pending from customer. Here you can view customer information such as customer group or contact details. You can update customer information by clicking on Edit Customer button. Tickets created for the customer will appear in this section. Click on Action button against a ticket and View, Edit or Delete a ticket created for a customer. You can also view the progress of repair tickets from their statuses. 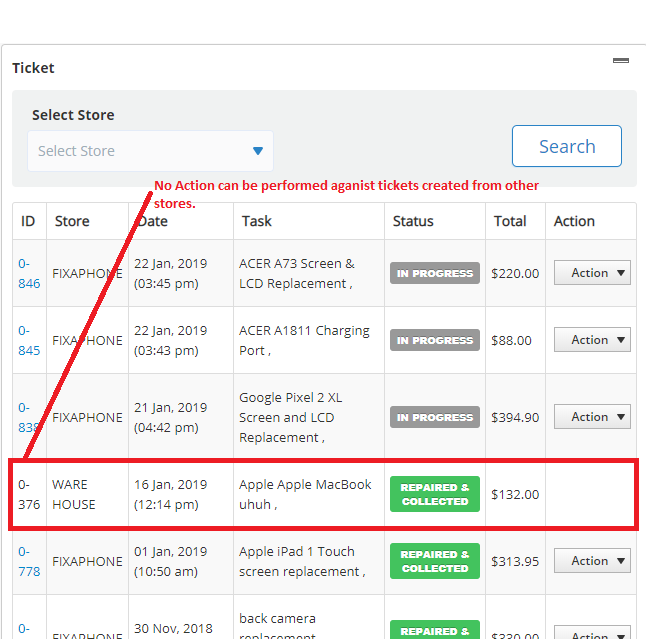 Note: tickets created from parent store are viewable, No action could be performed against tickets created from other stores. Here you can view invoices created for a customer. 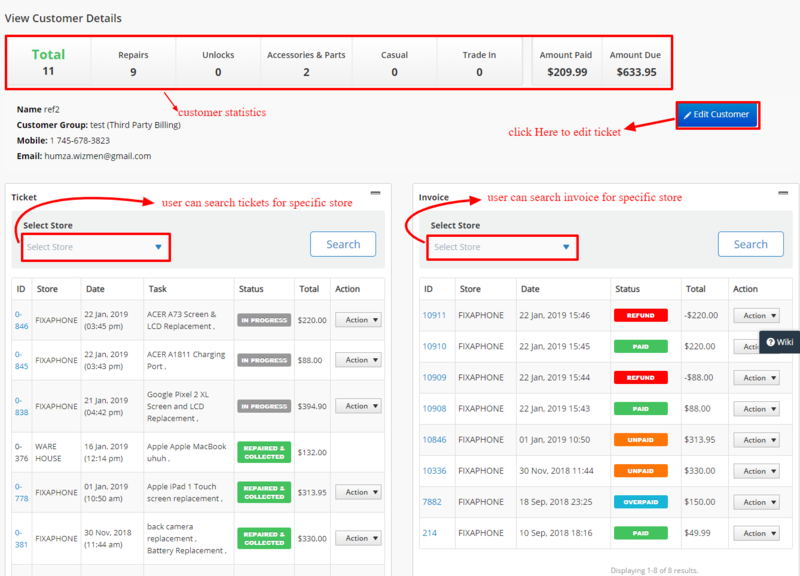 You can view the amount of each invoice along with their status i.e. paid, unpaid, partial, refund. Click on the Action button and select an option such as View, Edit or Delete invoice. Note: Invoices created from parent store are viewable, No action could be performed against invoices created from other stores.